S3IDF builds inclusive market systems to benefit poor and disadvantaged communities in developing countries. We effect this change through providing hands-on support to poor and underserved entrepreneurs so that they may create sustainable infrastructure businesses that increase their incomes, provide for their families, and deliver critical affordable services to their communities. Our support takes the form of three crucial facets: facilitating access to technology as well as formal financial services, and business development services. Each of these aspects of our engagement is fundamental to enterprise strengthening, but often at least one, if not all three, are unavailable to poor entrepreneurs working outside of the formal economy. Our project site, located in the Sira taluk of the Tumkur district, in Karnataka, India, receives an average rainfall of just 20 inches per year. The majority of farmland in the region is cultivated by small and marginal farmers, most of whom employ rain-fed agricultural practices. 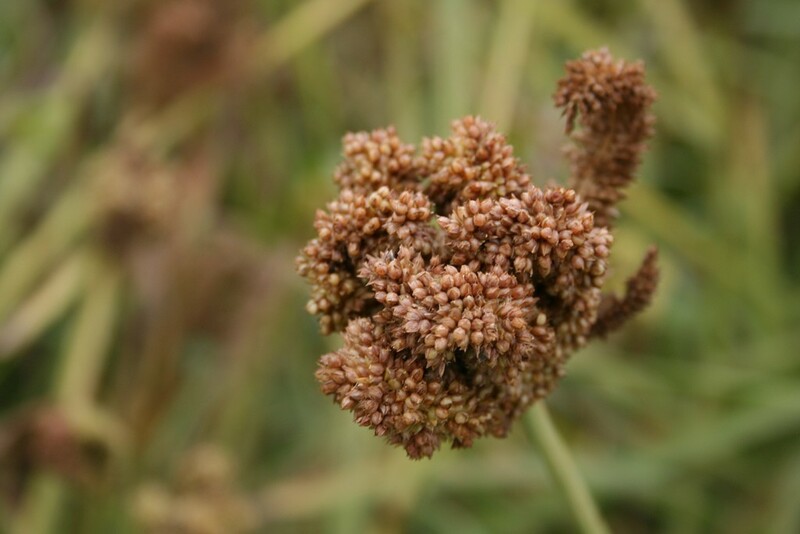 The primary crop grown by the members of the SFPC is millets (finger, foxtail, brown top and little millets), and although on a national scale, demand for the crop is on the rise (the United Nations dubbed 2018 as the International Year of Millets), the capacity of the SFPC to capitalize on this movement is limited due to lack of processing technology at the appropriate scale, access to the financing required to purchase such equipment, as well as the critical business skills needed to effectively identify and pursue new market linkages and manage cash flows. S3IDF and MOTHER are tapping into the institutional movement to promote the cultivation and consumption of millets throughout India. The crop has many inherent qualities that make it well-suited to the dry region as it is better adapted to hot and semi-arid conditions than most other cereals and requires little water. Millets are a short duration crop (meaning they’re harvested relatively quickly after planting) and need very few inputs. They are also able to flourish without use of chemical pesticides and fertilizer, making millets not only more ecologically sound for the local environment but better for farmers’ bottom lines as well. Further, millets are usually cultivated as a dual-purpose crop, providing both food grains for human consumption and fodder for animals. This duality contributes to the economic efficiency of mixed farming systems. The State government of Karnataka, also recognizing the multi-faceted value of millet, has promoted the crop so effectively that Karnataka is now one of the leading producers and consumers of millets in the country. The government is focused on promoting millets as ‘The Food of the Future’ through various initiatives and ensuring farmers get their due remuneration. They are also giving farmers who grow select millets a bonus of 20–25% above the Minimum Support Price, which is an integral facet of India’s agrarian economy. In addition to the government-led push to promote the grain, businesses on the food production side are cashing in on the millets trend as well. 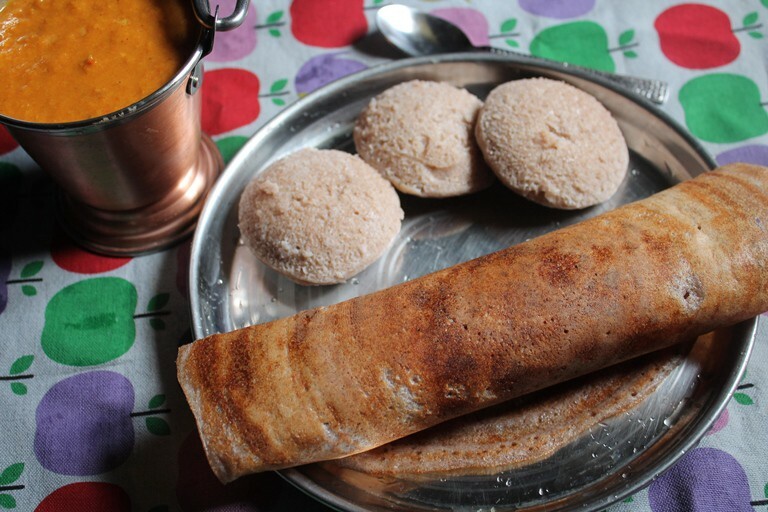 Millet cafes selling idli, dosas, and other traditional south Indian dishes made from the ancient grain are working to transform a food culture that, for the past four decades or so, has considered the cereal as food for the poor. Despite the recent trend and resurgence, the grain has deep roots in the region. A number of millet varieties were widely cultivated and consumed throughout Karnataka up until the Green Revolution of the sixties, a national program that significantly altered Indian agriculture through the employment of new agricultural technology including high-yielding (and extremely water intensive) seed varieties, pesticides and fertilizers, and new methods of irrigation. The program also favored particular cereals over local varieties, replacing acres of millet fields with wheat and rice, and ultimately leading to a shift in food culture. The effects of the Green Revolution were highly controversial, and widely led to environmental degradation and economic devastation of smallholders throughout the country. Now, decades later, faced with a persistent water crisis, Indian states are returning to millets. Not only are millets ecologically and economically sound to grow (they require on average nearly 2.5 times less water than rice plants), but they are also nutritionally superior to the grains that replaced them in the Green Revolution. 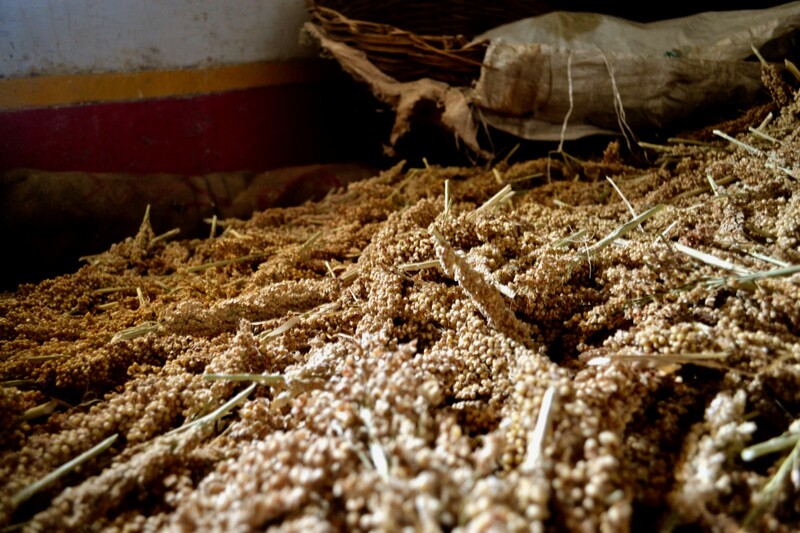 Because small millets are rich in dietary fiber and have a low glycemic index, the inclusion of small millets in the mainstream diets could be one crucial method of addressing malnutrition and noncommunicable diseases such as type 2 diabetes, obesity, and stomach disorders. Small millet cropping systems also include other nutritious food crops like horsegram, field bean, niger and many uncultivated greens. Beyond nutrition, its dual purpose, and general water efficiency attributes, millets are C4 carbon sequestering crops that contribute to the reduction of CO2 in the atmosphere. Despite the buzz around millets, small and marginal farmers whose livelihoods are dependent on the crop, including members of the SFPC, are faced with persistent challenges that prevent them from improving their livelihoods. If the SFPC had access to the appropriate equipment, farmers in the SFPC could increase their incomes and make their livelihoods more secure. Despite MOTHER’s success in collectivizing farmers in the region, the limited availability of appropriately sized processing technology and lack of local processing facilities are currently limiting growth factors. In the existing value chain, farmers sell their raw, unprocessed millets to a large mill roughly 40 kilometers away, missing out on critical value addition to their crop, and undermining their financial security. In addition to the logistical challenges around transportation costs, the mills are outdated, and do a poor job of processing the product, leading to high post-harvest losses. We are working to address this challenge by commissioning a local fabricator to build a mill that is of a smaller-scale and higher quality to fit the specific SPFC members’ needs. 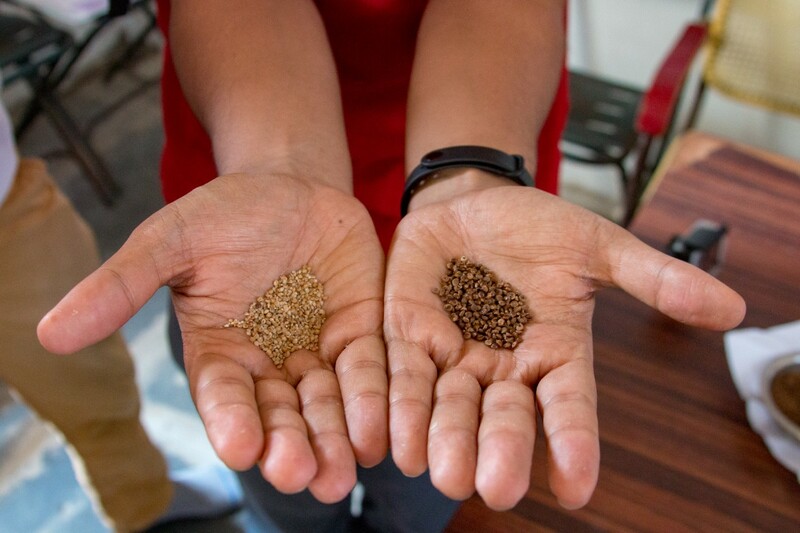 The new mill could decrease post-harvest loss by as much as 50% for some millet varieties. Furthermore, there is a clear need for access to formal financial services to finance this piece of new equipment, as well as the business mentorship to track cash flows and run their businesses more effectively. Building upon the collectivization efforts and critical watershed development work of MOTHER, our next step is to enable SPFC members to increase the postharvest value of their millets through more efficient processing, with all associated positive environmental benefits. To accomplish this goal, we will support the SFPC in identifying, acquiring and operating the appropriate processing equipment, in accessing the finance to purchase and install the equipment, and in providing business management support to more effectively run the SFPC. S3IDF has already identified a viable equipment option that would be of use to the SFPC and is in the process of coordinating the financial capital the SFPC will require to purchase this equipment. We will provide relationship facilitation for the SFPC with financial institutions/government entitlements (when the SFPC meets all the basic criteria) and enable the SFPC to secure appropriate capital. With high rates of perceived risk and low levels of awareness regarding relevant government assistance schemes and general banking practices, the SFPC is currently unable to ascertain the financing it requires without direct assistance from a knowledgeable mentor, facilitator, and advisor. S3IDF has extensive experience in this type of financial intermediation and will assist the SFPC in receiving the capital it requires to invest in its own growth. We will support the SFPC in effectively utilizing the formal capital. S3IDF and MOTHER will assist the SFPC in appropriately allocating the eventually received funding, accounting for its usage, and acquiring the equipment and training on said equipment for efficient millet processing. Our intervention is designed to guide the SFPC step-by-step through its growth process to ensure its success, with the subsequent social, financial and environmental positive benefits. We will assist in the development of institutional arrangements and risk mitigation strategies to ensure efficient and equitable functioning of the SFPC, and provide support for business planning, and associated partnerships for enterprise business development. Running the SFPC so that all environmental, social and financial aspects are fully considered is complicated. S3IDF and MOTHER will provide mentorship and assistance in helping the SFPC to strengthen internally and will support the entrepreneurial and management capacity building for the farmers. While our engagement is through the SFPC, the ultimate beneficiaries of this project are the small and marginal farmer members of the SFPC. We will provide additional trainings and mentorship to the farmers themselves so that as the SFPC framework is strengthened, its members are also gaining the knowledge and expertise they require to increase their incomes, employ more environmentally friendly farming practices, and better their own and their families’ lives.